In this three part video you will no doubt see, the length the government will go to nondisclosure of E.T. technologies and past knowledge of their existence! If You Are Serious About knowing, here you will find the answers you were looking for! Enjoy! And please comment, like and subscribe! Thank You! Cosmiccrazy! Okay, since somebody is questioning about UFO footage and Youtube doesn’t allow links in the comments section, here’s a short temporary video I put up that I will be adding a bunch more UFO videos to before posting to Youtube, plus one of Buzz Aldrin talking about his UFO experience. View a special NASA exhibit and tribute to astronaut Neil Armstrong at Starbase Indy, a Midwest science fiction convention, during Thanksgiving weekend Nov. 23-25 in the Indianapolis Marriott East, 7202 E. 21st St. Also on tap will be a chance for a Klingon makeover by a makeup professional, as well as guest stars from the television shows Star Trek and Stargate SG-1. Besides the NASA exhibit and guest stars, the weekend festivities at Starbase Indy will include Star Trek-based musical groups, arcade games, robot battles, a masquerade, sessions on science and science fiction, and a free showing of Joss Whedon’s The Avengers (2012) at 11:30 a.m. Friday, Nov. 23. “Starbase Indy’s Tribute to Neil Armstrong NASA Exhibit brought to Indianapolis by Shane Company” came about when Starbase Indy wanted to honor Neil Armstrong, the first human to set foot on the moon. He passed away this year, but his life encouraged many young people to reach for the stars. Starbase Indy contacted NASA to arrange a special exhibit of memorabilia from America’s space program; among the items will be an Apollo helmet and space shuttle glove, a moon globe, Apollo 11 displays, and 12 to 25 NASA photos of the historic mission. Hoosier native and NASA astronaut David Wolf is also scheduled to attend Starbase Indy, pending NASA approval. Turning from science to science fiction, one Starbase Indy attendee will win a full Klingon makeup treatment from professional makeup artist John Paladin. Paladin will also create Klingons out of actors Robert O’Reilly and JG Hertzler for their in-character appearance on stage and for photo ops Saturday, Nov. 24; both portrayed Klingons on Star Trek: The Next Generation. Other guest stars are Nicole DeBoer, who played series regular Ezri Dax on Star Trek: Deep Space Nine; Alexis Cruz from Stargate SG-1; and Deborah Downey from the original Star Trek. Larry Nemecek, a prominent Star Trek author, archivist and consultant, will share his insights. Beside seeing guest stars, convention-goers can don otherworldly garb to wander the halls of the Marriott and to strut their stuff on stage in the Masquerade contest, where the convention stage is built like the bridge of the starship Enterprise. Other convention activities include a robotics room to build and battle robots, and a 1980s video arcade room with games set on free play. Of course, the dealers’ room offers out-of-this-world items for science fiction fans who seek to beat the Black Friday crowds. Dinner with the Stars is back again this year, giving fans a chance to mingle with the stars and see them perform. 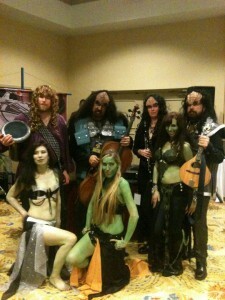 Star Trek fans can rock on with the second annual Battle of the Bands between Five Year Mission, a musical group that composes songs based on episodes of the original Star Trek, and il Troubadore, a Klingon band; both are Indianapolis bands. More music is in store during a Five Year Mission concert and a music room where other bands will play. Starbase Indy is a non-profit organization and supports charities in the tradition of Star Trek creator Gene Roddenberry, who believed humans could create a better future. This year Starbase Indy’s charities are Cats Haven, a no-kill shelter; LUNGevity, which funds research and treatment of lung cancer; and the Jason Foundation, an educational organization dedicated to the awareness and prevention of youth suicide. Cost to register for the entire three-day weekend is $40 in advance and $45 at the door, a price that has changed little since the early 1990s. Single day prices are $25 for Friday, Nov. 23; $35 for Saturday, Nov. 24; and $30 for Sunday, Nov. 25. Children age 12 and under are free. 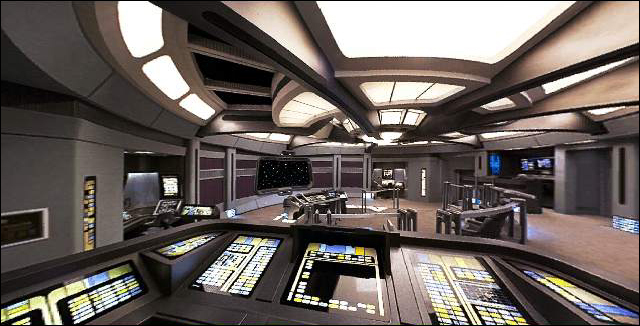 This is the 17th year for Starbase Indy, a convention run by local fans, for fans. For more information or to register, go to www.starbaseindy.com or call (317) 513-8651.